"Barber shop - right side of photo. Theater in Chamberlain block. Electric trolley wires. ca 1914 photo." 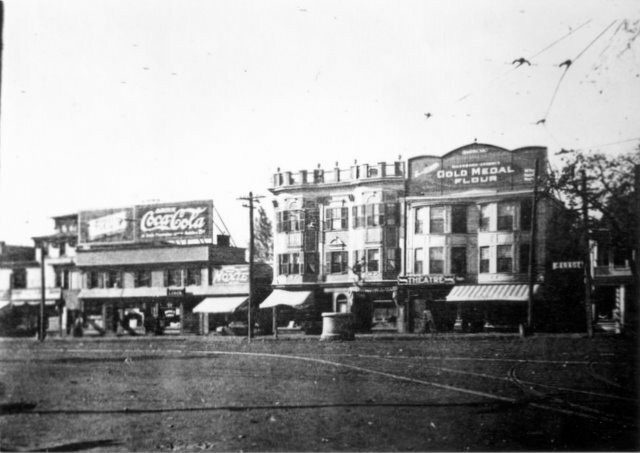 “West side of Main Street,” NOBLE Digital Heritage, accessed April 24, 2019, https://digitalheritage.noblenet.org/noble/items/show/2894.